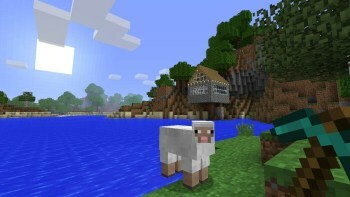 Minecraft's Xbox 360 description has been amended to show that split-screen is only available on HD TVs. Gamers stuck with standard definition televisions have had a rough time with this console generation. Usually, the problem is tiny text which simply isn't readable on older televisions, but the Xbox 360 version of Minecraft has a more serious ailment: One of the advertised game features, split-screen play, simply doesn't work on SD TVs. In response to irate customers making a stink about the issue, Microsoft has revised its listing for the game, and is offering a full refund to SD TV-owning gamers for whom the lack of split-screen is a deal-breaker. "We updated our pre-sale notification to inform customers that an HD screen is required for the split-screen multiplayer feature onÂ Minecraft: Xbox 360 Edition," a Microsoft rep told Kotaku. "If a player does not have an HD screen and purchased this game prior to the notification update, they are eligible for a full refund through customer support." Now it's easy, and kind of satisfying, to brand SD TV-owners as stubborn Luddites clutching at hilariously outdated technology, but according to a recent survey by the Leichtman Research Group, around 30% of US households are still using SD TVs. Also, not all consoles are hooked up to the house's main television, and many younger gamers find themselves using hand-me-down SD TVs for their gaming. The same data indicates that close to 60% of the TVs currently in use in the US are not HD-capable.